As an interrogation aid and a tool for national security, is the polygraph worth the human cost? And even with the high risk of false positives, is it ethical to teach polygraph countermeasures? I discussed this subject briefly back in March during my interview with former CIA officer Lindsay Moran. As I was finishing the Moran article, I found this fascinating article about Chad Dixon, who was arrested for teaching polygraph countermeasures to people seeking federal employment. I followed up on the intrigue by purchasing William’s book on polygraph countermeasures, and then I sent him an email asking if he was concerned about Chad Dixon’s indictment. Williams responded by sending me a copy of another book he had written, From Cop to Crusader, with a promise that he’d try to answer my questions. He suggested that I read his book first. I planned to eventually interview Williams but put that plan on the backburner. Then on November 13, 2014, the Feds indicted Doug Williams on mail fraud and witness tampering, based on the claim that he knowingly instructed undercover agents to lie during a Department of Homeland Security proceeding—a pre-employment interview and background investigation—and accepted payment for the “scheme” by mail. The Feds are clearly concerned with (and hostile towards) polygraph countermeasures. That fact alone suggests countermeasures are perceived as a threat to national security. With that said, let’s now take a look at the polygraph and the polygraph countermeasures that have the Feds so worked up. I’m going to begin with a simple declaration: The polygraph is not a lie detector. Here’s what the polygraph is: a conglomeration of physiological tests that measure such things as breath rate, pulse, blood pressure, perspiration and skin conductivity. 1. Stress induces changes in the autonomic nervous system. 2. Questions that, if answered honestly, would incriminate the interviewee tend to cause stress. 3. Autonomic stress is measurable through changes in blood pressure, pulse, skin conductivity, etc. 4. Although people’s physiological reactions to stress may vary, testers may correct for this by developing a baseline measure of a person’s responses to a variety of questions. Those reactions can then be compared against relevant questions. 5. In essence, the polygraph test is based on changes in physiological responses as they occur in conjunction with the administrator’s questions. The standard format of the test is to ask control questions alongside questions that are both irrelevant and relevant to the topic at hand. The control questions are usually general and vague enough to apply to nearly everyone, but they lend an element of tension; their purpose is to provide a baseline measure for comparison with the relevant questions. The control questions are vague enough that most people will have been guilty of them at one time or another. They’re designed to elicit a guilt response, but they are irrelevant to the investigation. Note: There are different types of polygraph tests, but most involve the presentation of information that is either relevant or irrelevant. The results are interpreted affirmatively (i.e. deception is indicated) when the polygrapher records increased stimulation when he asks a “relevant” question. The problem with polygraph theory is that it presumes that stress will indicate guilt when it exceeds baseline measures. Naturally, there will be some level of stress in just taking the test, which is what baseline measures are suppose to rule out. However, what the test doesn’t control for is that specific questions can induce stress for reasons other than guilt or deception: A person may be anxious because he thinks he’s a suspect, because something from his past induces a strong response to a particular question (a past trauma, say), or because he possesses a certain emotional disposition towards the topic, among other reasons. And the result, in each case, is a false positive for deception. The presence of higher than baseline physiological stress in correlation to a specific question indicates deception if that question is answered negatively. In scientific language, we would say physiological stress is a dependent variable (an outcome) while guilt is an independent variable (a cause of the outcome). But this model results in what statisticians call an omitted-variable bias because there are other psychological factors that can result in increased physiological stress. And because they are omitted, the model is biased to draw a conclusion of guilt. Assume, however, that guilt is a major cause of physiological stress. Assume it’s not the only cause, but that it’s such a significant cause that it renders the polygraph 80% accurate. Even if the polygraph were statistically rather effective, it would still be highly problematic to rely on it for criminal evidence or for security screening. Take, for instance, a 2003 report on the polygraph by the National Research Council titled The Polygraph and Lie Detection. The report points out that if the polygraph were 80% accurate and used by a government agency to catch spies, it would succeed at eliminating 2,000 employees out of 10,000 employees. If there were ten spies within the agency, eight people of the 2,000 eliminated would be spies, while two actual spies would remain employed and undiscovered. So what’s the deal? 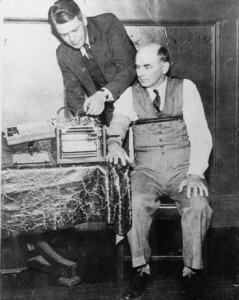 The polygraph is used extensively within the Federal government. It must do something, right? That seems to depend on what is meant by “effective.” Some skeptics believe the polygraph is utter pseudoscience with no sound basis, while polygraphers themselves often claim outstanding success rates. The reality is that there’s probably statistical significance to polygraph testing, but the error rate is always going to be unacceptably high for reasons stated above. While I would be hard-pressed to take the polygraph seriously as a judge, juror, or even as a hiring manager, I wouldn’t think twice about using it as a tool for investigation and interrogation. If I could convince a criminal suspect (or even a security clearance applicant) that I could read his mind, I would do so. I wonder how many people spill the beans simply because they are facing a polygraph? I’m up against an all-seeing machine—might as well come clean. To me, that psychological edge for the interviewer is the real utility of the polygraph. Of course, not everybody is going to be intimidated by the polygraph, or so easily convinced to come clean. While physiological stress might indicate something other than guilt, it implies the occurrence of psychological stimulation and, thus, offers the polygrapher a line of questioning to pursue further…which could turn up something fruitful. 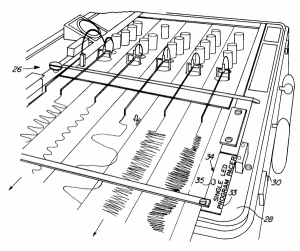 Countermeasures are methods designed to subvert the polygraph by manipulating the results. Just as the National Research Council concluded that the evidence for the polygraph is inconclusive, it also concluded that evidence for the efficacy of polygraph countermeasures is also inconclusive. There’s simply not enough research on countermeasures right now to make a firm statement about their effectiveness. But from a theoretical perspective, we can imagine that the test might be manipulated. In theory, the test can be defeated by purposely creating exaggerated readings on the control questions. An example of how this might be achieved would be to alter one’s breathing pattern on the control questions. Examples of methods that have been suggested to induce physiological stress on control questions include momentarily holding one’s breath, doing mental math, squeezing the sphincter muscle, or biting one’s tongue before responding. In contrast, one might try to relax more on the relevant questions. The greatest countermeasure might simply be embracing the belief that the polygraph is ineffective. In theory, incriminating questions would induce less stress if the test taker failed to believe in efficacy of the machine. One way to think of the polygraph is that it’s intended to create a certain placebo response—arousal based on belief. Still, the polygraph is registering something. Simply not believing in the polygraph isn’t an option for the informed person who might be more concerned about a false positive than a true positive. Perhaps the informed person is better off sticking with the KGB’s advice to their former mole in the CIA, Aldrich Ames: “Get a good night’s sleep before the test,” they told him. In other words: Relax—it’s no big deal! An online organization called Antipolygraph.org teaches the use of countermeasures—not for the sake of beating the machine, but because they believe there are simply too many false positives. It’s hard to look at the polygraph logically and to trust that the error rate is somehow low. Thousands (if not tens of thousands) of people every year are probably denied sensitive jobs because of false positives. As a tool for national security, is the polygraph worth the human cost? As an interrogation aid, the polygraph shows its real utility at enticing confession. 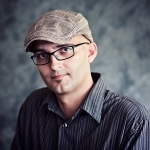 Unfortunately, the utility of being able to elicit confessions is partially dependent on the belief in the polygraph’s efficacy to detect deception. 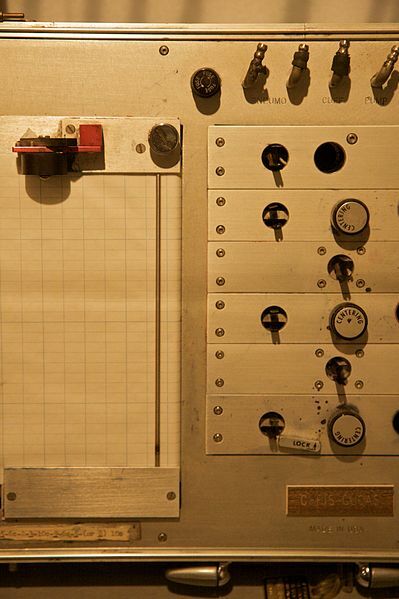 As an interrogation aid and tool for national security, is the polygraph worth the human cost? The success of the polygraph in matters of security, thus, hinges on a necessary myth and its widespread acceptance. Among those who accept the myth are polygraphers themselves; the unfortunate result is that the polygraph becomes not only an interrogation aid, but also an accepted science within those departments that use them. And that means that polygraphers most likely believe in the “guilt” of those who register false positives. For good or ill, the polygraph plays a role in U.S security culture. Therefore, there will be people who attempt to circumvent it for many reasons, some of them, nefarious. With that in mind, is it ethical to teach countermeasures against the polygraph, even to counter the significant risk for false positives? What about when that same technology is employed in support of national security? Meanwhile—if you happened to purchase one of Doug William’s books, then you should probably know that you may now be on an interagency watch list. Bad science or not, it seems the Federal Government considers you a potential liability if you’ve studied how to beat the polygraph.